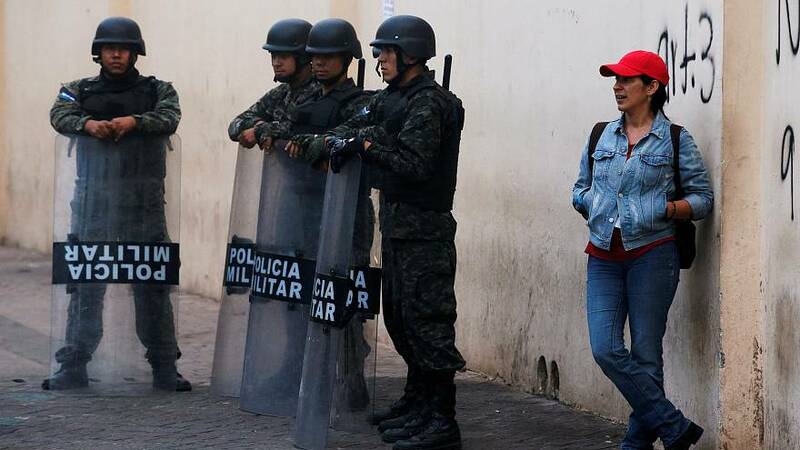 A tentative sense of calm is creeping back onto the streets of Honduras as a countrywide curfew takes effect. Residents have been taking advantage of daylight hours to stock up on provisions, but many shops remain shuttered after the looting that took hold across the country. Police and the military took advantage of their increased powers to break up the piles of tyres and burning rubble that had brought cities to a standstill over the previous days. There are reports that a number of protesters were killed during the operations and over 200 arrests have been made. The violent clashes errupted in the wake of the country's recent Presidential election. Salvador Nasralla, the main opposition candidate, called for his supporters to protest against what he described as coup attempt by the incumbent President, whom he accuses of manipulating the vote and using the curfew to stifle dissent. For his part President Juan Orlando Hernandez has claimed victory, saying he has 42.9 per cent of the vote with 95 per cent of the ballots tallied. But with Nasralla demanding a more extensive recount than the electoral authorities are willing to undertake, the process has ground to a halt.